Milwaukee Airport Shuttle and Transportation Options through Airport Service Inc.
We offer a variety of Milwaukee Airport transportation options throughout southeastern Wisconsin. This includes home pickup, group transportation and luxury town car transportation. 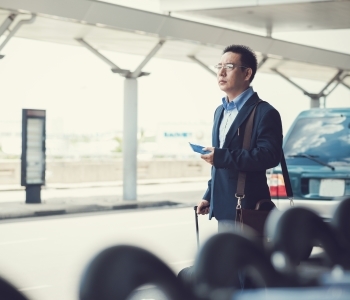 We pride ourselves on getting you to your destination on time and in a polite manner, whether you need to get to an airport or a tourist destination. ...and many other airports in the Wisconsin/Northern Illinois region. Keep in mind, our airport transportation service will drop you off and pick you up from the airport of your choice. Picking You Up at Home and Dropping You Off at MKE, ORD, MDW, and More! Home pick up is often the best choice for an individual. Airport Service Inc. provides reliable transportation to pick you up from your home and to the Milwaukee airport. If you want a more Luxury experience, we also provide a luxury town car and a Lincoln Towner Sedan. If you are traveling to a Milwaukee or Chicago airport in a group the best choice would be a shared shuttle. Our vans can fit up to 15 people and are one of our signature services. You must have between 5-15 people in your group, also we provide a door to door shared shuttle service. Although we focus primarily on Milwaukee airport transportation, our services have expanded in the past few years. Now we transport groups and individuals to Potawatomi Casino, Miller Park, Lambeau Field and colleges around the state. If you are interested in our services, please book a reservation as soon as possible. Book your Milwaukee airport shuttle service (262)-574-5800 and get the most dependable transportation to and from your home in the Midwest.